WeLoveBigBrother.com spoke with Laura Crosby of Big Brother 11 the morning after her eviction from the Big Brother house. In this audio interview Laura reacts to her eviction reveals that she is a HUGE fan of WeLoveBigBrother.com! On Friday morning, WeLoveBigBrother.com’s Matt Maynard spoke to Laura Crosby, the second evicted houseguest from Big Brother 11. Laura was evicted from Big Brother on Thursday night by a vote of 8-1. It turns out that Laura is a BIG fan of WeLoveBigBrother.com. Before she was chosen to be a houseguest on BB11, she admitted that she checked our site daily for the latest Big Brother news! P.S. – After listening to the interview above, be sure to check out the CBS Publicity pictures from Thursday’s episode. 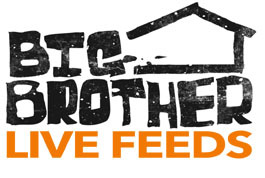 Laura is a HUGE fan of WeLoveBigBrother.com and visits our website regularly! After being nominated for eviction by Head-of-Household Ronnie, Laura was evicted last night from the BIG BROTHER House by a vote of 8 to 1. On Sunday, Ronnie nominated Jeff and Laura for eviction. On Tuesday, Jeff won the Power-of-Veto and chose to remove himself from the block. As Head-of-Household, Ronnie was forced to select another Houseguest and decided to put Jordan on the block. During last night’s live broadcast, Laura, the 21-year-old bikini model from Atlanta, Ga., learned her fate and left the BIG BROTHER House. After her eviction, she was interviewed by Julie Chen about her experience. After last night’s BIG BROTHER eviction, the Houseguests competed for Head-of-Household in a competition called “Buzzworthy.” In it, each Houseguest maneuvered a ball down a short chute and launched it into a target shaped like a giant honeycomb. Each ring of holes on the target had a different point value. The player with the highest score was Jessie who became the new Head-of-Household.